Opiates are, for the most part, Schedule I to Schedule IV substances which means that they have some level of abuse potential. This is why there are so many different street names for opioid drugs. Knowing the different street names could help you understand what is going on around you and the possibility of illegal drug abuse or selling activity. It may also allow you to help someone else or even save a life. There are two opiate-based drugs which are illicit and not regularly prescribed as medicine. These drugs are heroin and opium. Opium is a natural opiate that comes directly from the poppy plant while heroin is a semi-synthetic opioid derived from morphine. Heroin is an illicit opioid-based drug and a Schedule I substance. It is usually injected by recreational users attempting to get high. Prescription opiates are dangerous because they can be found almost anywhere. According to the DOJ, “Teens can obtain narcotics from friends, family members, medicine cabinets, pharmacies, nursing homes, hospitals, hospices, doctors, and the Internet.” Most of these substances are Schedule II or below as they are used in the medical community to treat pain and sometimes other issues like chronic cough. While prescription opiates, or narcotics, do help many people with chronic pain, they are abused by recreational and chronic users and have many street names. Street names are used to keep opiate abuse hidden and secret. 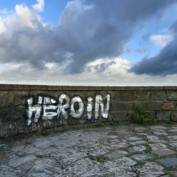 The street names for opiates are varied, especially because there are so many types of narcotics. Someone who is addicted to opiate-based drugs will often try to get any type of these, and those who buy and sell opiates illegally use these street names. Knowing even just a few of them could very well help you stay aware of your situation and also keep you much safer.